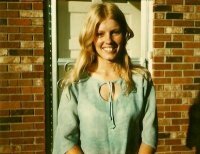 On January 19, 1983, Janette Roberson was found murdered in the basement of the Gambles store in Reed City, Osceola County, MI. Detectives believe she was murdered sometime in the afternoon between one and four o’clock. The store was open for business, and there were customers and other employees in the building at the time, but no heard or saw anything related to her homicide. It is unknown if Janette was sexually assaulted, but her body was found partially clad. A man who left town the day of Janette’s murder was questioned and released by the police. Three other people who bought fish and supplies on that day were wanted for questioning, but no solid leads have been brought to the attention of the detectives in the twenty seven years since Janette’s death. Det. Pratt, Michigan State Police 231.832.2221. Posted on Tuesday, June 8th, 2010 at 4:49 pm. Last updated on Thursday, February 24th, 2011 at 5:23 pm.